Word on the street is that UL (Underwriters Laboratories) is stating new requirements for the certification in listing compatibility for 2-wire smoke detectors. If you or your customers have a an FACP (fire alarm control panel) with 2-wire conventional smoke detectors you may be affected by this. 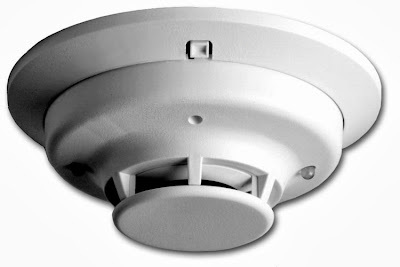 If you have the need to replace 2-wire smoke detectors on your existing fire alarm control panel and cannot find UL listed detectors, then you need to know this: UL is toying with the idea of site specific testing for the certification in listing 2-wire smoke detectors. What does this mean for you or your customers? Answer: In the case of an older panel that does not have 2-wire smoke detectors Listed for compatibility, you will have to pay UL to come out to the site and perform their testing. Now this is not set in stone but it seems pretty crazy to me. I am not sure of the pricing for this so-called certification process but I know one thing, "It can'y be cheap!". At this point, you have to ask your customer or yourself, at what point do you seriously consider upgrading your fire life safety system? I am reasonably sure the this testing process from UL will impact your customers budget as well as their schedule. Like I said, earlier, this is just the word on the street and I cannot verify any of this information. With that said, it is something to consider and look into if you are currently in this situation.